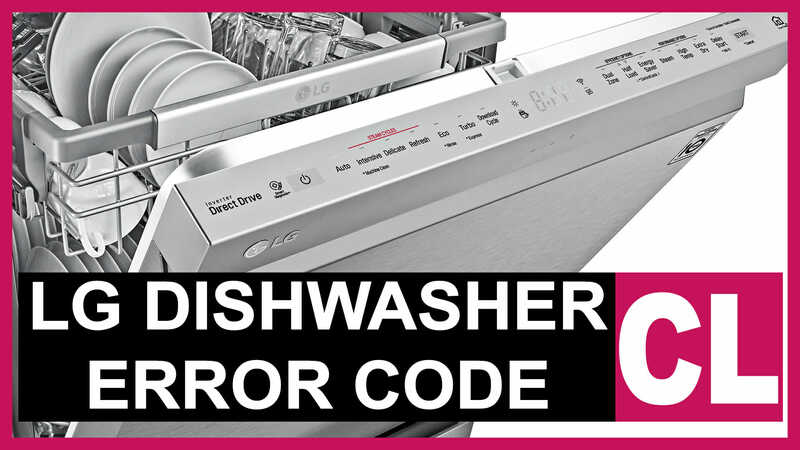 The CL code in the LG dishwasher is not an error at all. This code indicates that a user has activated child protection mode. The code will always light up on the display or appear when you press any buttons. There are small children almost in every house who like to press buttons and open doors with great curiosity. LG dishwashers are equipped with a door opening protection system during operation, and a button protection system (mode changing). Basically, the blocking mode completely locks all buttons. So, if the kid presses the buttons, the display will show the code. Thus, the child will not be able to change the mode of washing the dishes. During display blocking, the LG dishwasher door can behave in different ways. In new models of LG dishwashers, the door is locked for the time of washing. So, nor you, nor the child will be able to open it. But in older models, there is an instant shutdown of the hot steam flow and stopping the appliance operation. It prevents unpleasant accidents. Button blocking is activated by pressing and holding the next buttons for more than three seconds: RINSE and SPRAY. Along with that, the CL error code appears on the screen. If you need to turn off the buttons locking, perform the same action. There are models of LG dishwashers in which locking activation is performed by pressing and holding the DUAL ZONE button. Attention! In some LG dishwasher models, the Power button remains unlocked when a user activates button lock mode.